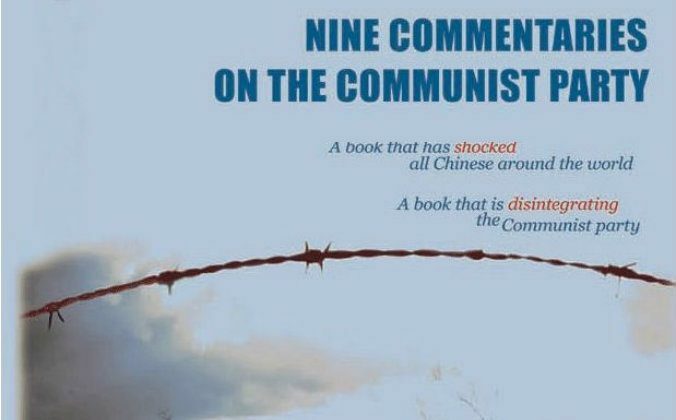 The Nine Commentaries on the Communist Party were first published in November of 2004, followed quickly by an English translation. In 10 years, the series has led over 180 million Chinese to renounce the communist party and its affiliated organizations, fostering an unprecedented peaceful movement for transformation and change in China. People continue to renounce the party every day. Here we republish the newly re-edited Nine Commentaries, linked to video and audio versions produced by our partner media, NTD Television and the SOH Radio Network. More than a decade after the fall of the former Soviet Union and the Eastern European communist regimes, the international communist movement has been spurned worldwide. The demise of the Chinese Communist Party (CCP) is only a matter of time. Nevertheless, before its complete collapse, the CCP is trying to tie its fate to the Chinese nation, with its 5000 years of civilization. This is a disaster for the Chinese people. The Chinese people must now face the impending questions of how to view the CCP, how to help China evolve into a society without the CCP, and how to pass on the Chinese heritage. The Epoch Times is now publishing a special editorial series, Nine Commentaries on the Communist Party. Before the lid is laid on the coffin of the CCP, we wish to pass a final judgment on it and on the international communist movement, which has been a scourge to humanity for over a century. The result has been a total collapse of social, moral, and ecological systems, and a profound crisis for the Chinese people—and indeed for humanity. All these calamities have been brought about through the deliberate planning, organization, and control of the CCP. As a famous Chinese poem goes, “Deeply I sigh in vain for the falling flowers.” The end is near for the communist regime, which is barely struggling to survive. The days before its collapse are numbered. The Epoch Times believes the time is now ripe, before the CCP’s total demise, for a comprehensive look back, in order to fully expose how this largest cult in history has embodied the wickedness of all times and places. We hope that those who are still deceived by the CCP will now see its nature clearly, purge its poison from their spirits, extricate their minds from its evil control, free themselves from the shackles of terror, and abandon for good all illusions about it. The CCP’s rule is the darkest and the most ridiculous page in Chinese history. Among its unending list of crimes, the vilest must be its persecution of Falun Gong. In persecuting Falun Gong’s principles of “Truthfulness, Compassion, and Tolerance,” Jiang Zemin has driven the last nail into the CCP’s coffin. The Epoch Times believes that by understanding the true history of the CCP, we can help prevent such tragedies from ever recurring. At the same time, we hope each one of us would reflect on our innermost thoughts and examine whether our cowardice and compromise have made us accomplices in many tragedies that could have been avoided. The Commentaries are also available in Audio , Video , and PDF format.